Delicious, Affordable Gluten Free Pastas – THEY DO EXIST!! 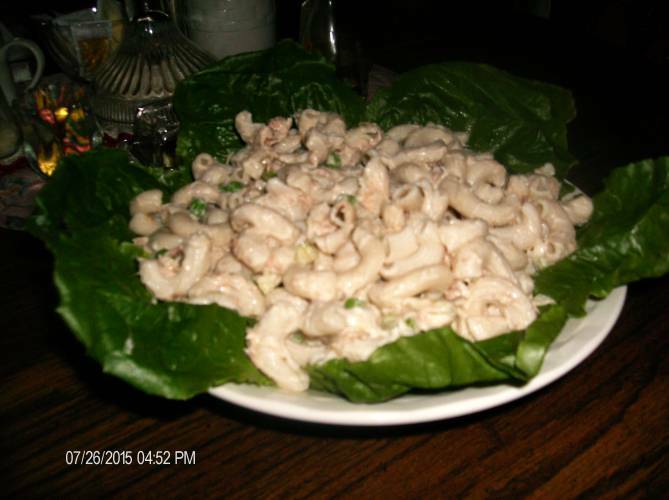 Pasta dishes and salads play a huge part in our summer time events and family get-togethers. This can be a little frustrating when you have gluten intolerance and you want to bring a dish to share at an event. Gluten free tends to have a stigma of having bad texture or taste and people tend to shy away from these types of products. After sampling many products I have to tend to agree with the general consensus. (At this point I’m thinking folks are starting to feel sorry for my husband who has to sample all of my failures until I reach success). I set out on a shopping excursion and bought some of every type of gluten free pasta available so I could make a palatable tuna salad for our annual family get-together. I was surprised at how limited the selection and expensive these items were. I won’t go thru all the brands we hated but I did find one manufacturer from Canada that specializes in only Rice Pastas, “Tinkyada: Pasta Joy ™”.If you visit their website they have a list of products that they manufacturer. I contacted the company and they provided me a list of stores that carry their products in my area. They don’t manufacture anything but rice pastas so their costs are cheaper and their products are by far the best that I’ve tried to date. I found Tinkyada Pasta Products locally at Marquette Food Co-op, Walmart and Super One Foods but there were numerous online sources available also if you don’t mind the shipping charges. I would definitely consider buying online if I were buying in bulk. I brought my tuna salad to the family reunion, didn’t tell anyone it was gluten free and no one knew the difference. TRHAT’S THE TRUE TEST! I was a little disappointed that there was none left over to bring home for a little midnight snack but it was well overshadowed by my satisfaction in finding a descent product. THANK YOU TINKYADA!! Combine all ingredients and chill. Serves 8 – 10. 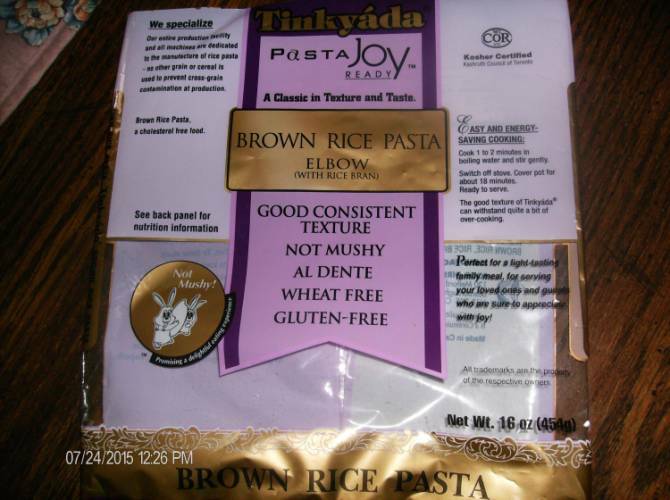 Posted on July 30, 2015 Categories Back To Basics, Gluten FreeTags garden sweet peas, gluten free, healthy, pasta, pasta elbows, Rice pasta, Tinkyada, tunaLeave a comment on Delicious, Affordable Gluten Free Pastas – THEY DO EXIST! !